BetSafe Casino offers several different software Casino Black (Cryptologic software), Casino Red (NetEntertainment software) and Live Casino are the three options players have to choose from. All three casinos have their own uniqueness to them with offering over 100 games. BetSafe is setting the bar high for all other online casinos with giving players so much variety to choose from. They are owned by Safepay Malta Ltd and fully licensed and regulated by the Malta Government. All three venues run on their own gaming platforms. Casino Black uses the Cryptologic software, Casino Black powers off the Net Entertainment and the Live Casino uses its own web portal that offers gaming via live streaming. 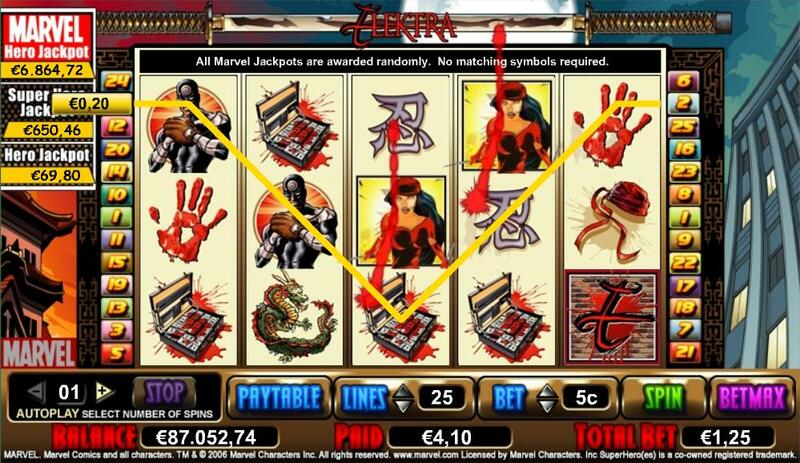 All casinos support multiple languages and currencies to accommodate all players. At this time USA players are not accepted at all three casinos. BetSafe is a one stop shop for all your gambling needs and desires. Online gaming with nonstop bonuses to claim and some okay games to choose from. Promotions and bonuses at BetSafe All new Casino Red players receive a grand welcome worth a 100% match up to €100. To get the Casino Red bonus, simply deposit with cash to your Casino Red account. The bonus will be issued immediately and automatically hence without any extra action needed from you. In conclusion : You dont need any bonus code etc. to get the Betsafe Casino Red bonus. Casino Black offers two different bonuses for all new players. The first one is a 100% match up to €200 or a 50% match up to €500. To get the 100% up to €200 bonus select a transfer from your odds account to Casino Black account and enter the Bonus Code FD200 into the box provided. The live casino even offers a sign up bonus that all new players can claim. All real money players will get the chance to wager €1000 on the big roulette wheel. You must choose either red or black and place the entire bet on either wager. To qualify for this promotion is simple, just wager at least €10 the previous week to qualify. All three casinos offer promotions for all their players. Stay updated on the promotions tab at all three to see what’s in store for your next deposit. 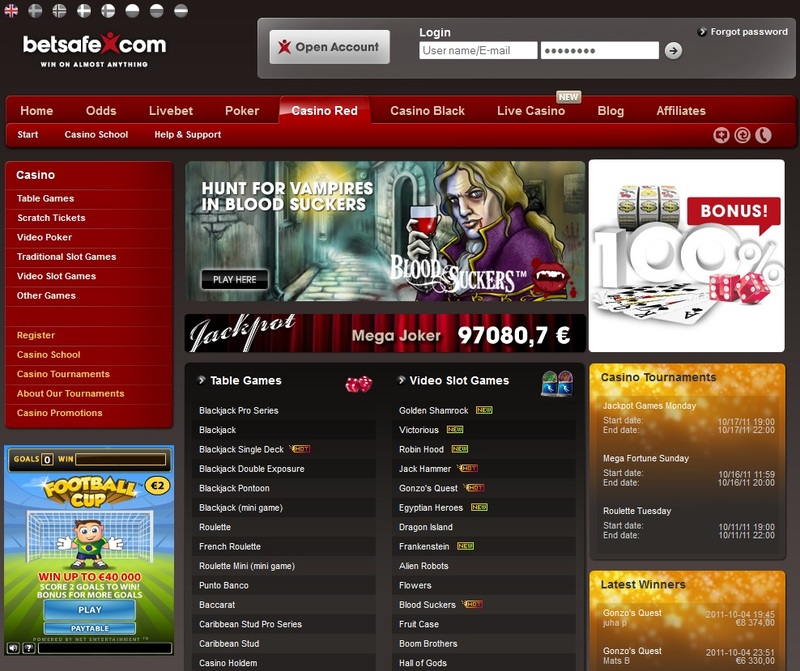 Casino Red runs on the Net Entertainment software platform and is a browser based instant play gaming suite. Within the casino area you will find a great assortment of video slots, classic slots, table games, scratch tickets, video pokers, keno, and a few other ancillary games. Casino Black is powered by the Cryptologic software and runs either by downloading the software or accessing the games via the instant play browser casino. There is a whole array of games to choose from that range from classic slots, video bonus slots, card games, table games, and video pokers. The Live Casino is a browser based portal where you are linked into a live video stream that updates in real-time as you wager and play. It is a secure connection using the latest industry tools and encryption. Currently the games offered in their live casino are Blackjack, Baccarat, and Roulette. This is a must try when you visit this casino as you attain the play of a land casino from the comfort of your own home. The cashier at BetSafe is designed for players to navigate their way with no complications or issues. All banking methods are secure, safe and include only the popular names in the industry. NeTeller, Credit Cards, Entro Pay, MoneyBookers, Bank Transfer and Click&Buy are the names we have all grown to trust in the business. There are multiple currencies for players that need to convert to their supported currency as BetSafe supports all players. All cashouts are processed daily with players receiving their winnings in a speedy and hassle free manner. All deposit methods can be used to withdrawal if applicable. BetSafe guarantees that all players will receive a response to their question or concern within 15 minutes and if not they will receive a free €10 bonus. No other casino offers such a thing, just goes to show that BetSafe is on a league of their own with all departments. Support can be reached 24/7 via telephone, live help, email and fax. Visit Betsafe Casino here and get your bonus now!